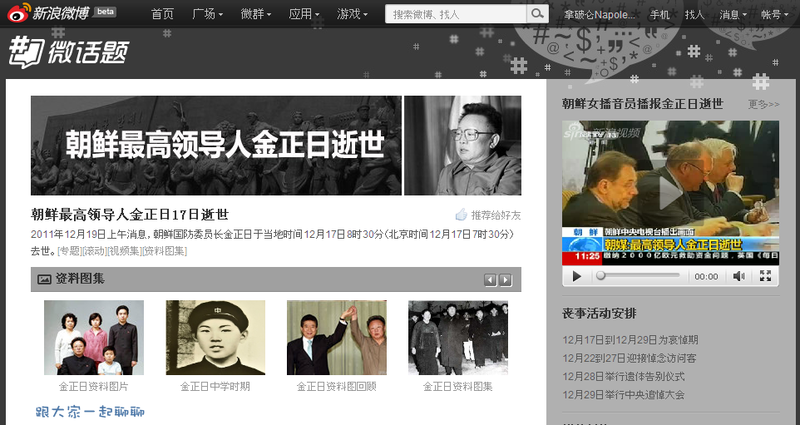 Following the death of Kim Jong Il, Sina Weibo has created a special page to collate comments using the hashtag,"金正日逝世", which translates to "Kim Jong Il passes away". The are nearly 7 million posts and comments so far about the event. 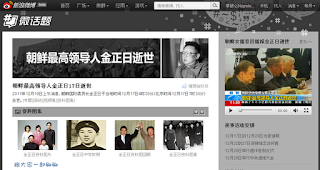 Which are being collected on this page.